Ready to use, no need to dilute. 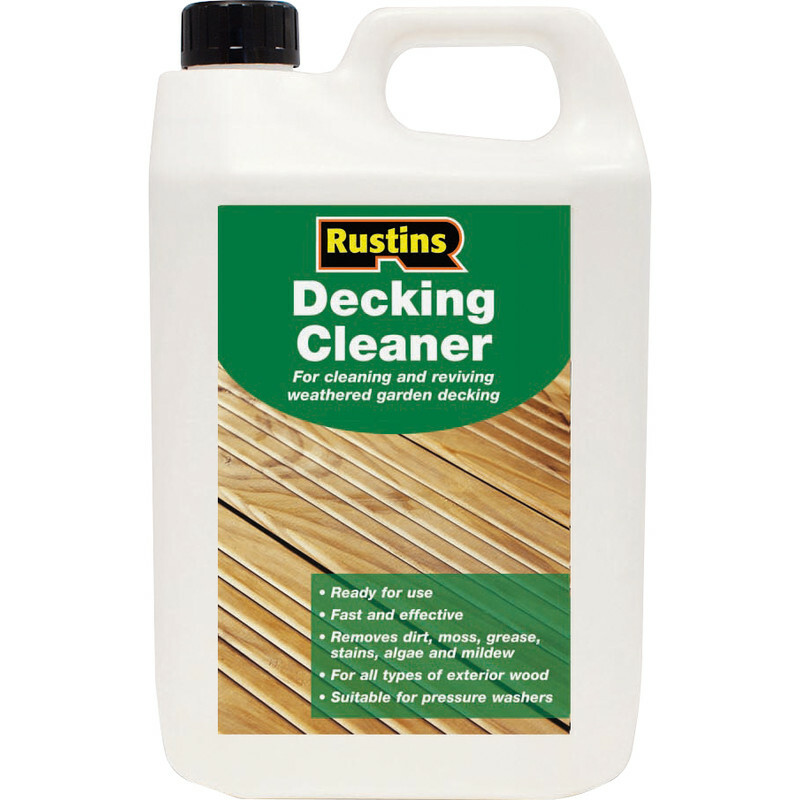 Removes dirt, grease and stains from the decking prior to using decking oil. Approx coverage 5-6m2 per litre. Hazard safety codes: R10, R11, R22/24, R50/53. 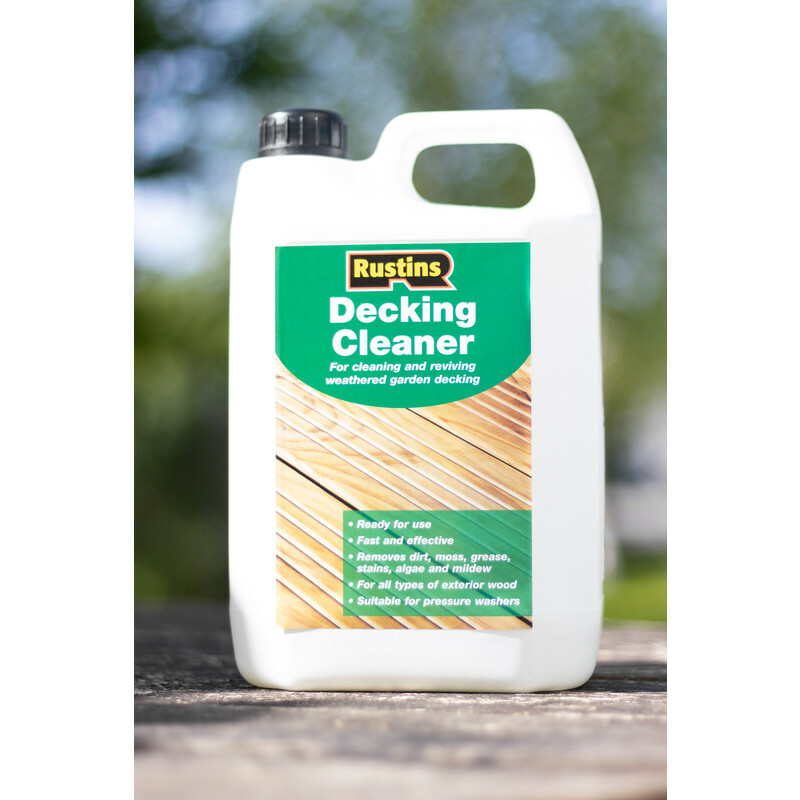 Rustins Decking Cleaner 4L is rated 3.3 out of 5 by 4. Rated 1 out of 5 by Andy from No better! Followed instructions to a T but had no effect. Was only enough to do half my deck so thought I'd do a comparison. Followed instructions then jet washed entire deck and could tell which half had been treated. Rated 3 out of 5 by Thebear35 from Not sure if it heped Treated decking before pressure washing - not sure if it made it any easier. Rated 5 out of 5 by Max_bradford from Worked a treat I have followed instructions on the back. Sprayed my balcony deck with cleaning solution, left for 10 min, scrubbed with hard brush, left to soak for 30 min and scrubbed again with the brush and washed it off. After 16 years of neglect, balcony deck look like new again.